Bounce rate is defined as the percentage of visitors to a particular website that navigate back off the site without taking any further action. Ideally, the lower the bounce rate the better and, as a rule of thumb, most businesses should aim for around a 40-50% bounce rate on their main pages. Where Can I View My Pages Bounce Rate? 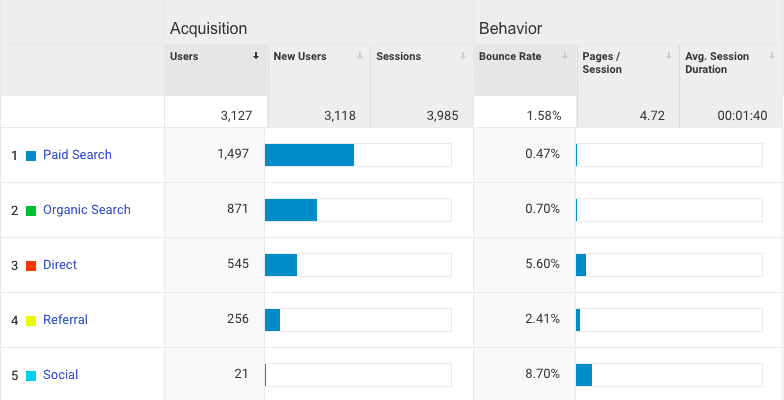 Your website’s bounce rate can be viewed in Google Analytics – both as a broad overview at the top level, and with the function to drill down into pages individually. You can also view the average time users have spent on page here – a useful feature for identifying the possible reasons behind a particularly high or low bounce rate. Typically speaking, if a bounce rate is high and time spent on site is low, this could indicate problems with your website speed (people may bounce straight off if a page takes too long to load) or the content on your page (the content may not be what the user expected to find). On the other hand, if bounce rate is high but the time spent on page is also high, this could be an indication that the call to action or ‘next steps’ are not clear enough, and that your web page may be difficult to navigate. A common misconception is that high bounce rate ALWAYS equals bad performance. 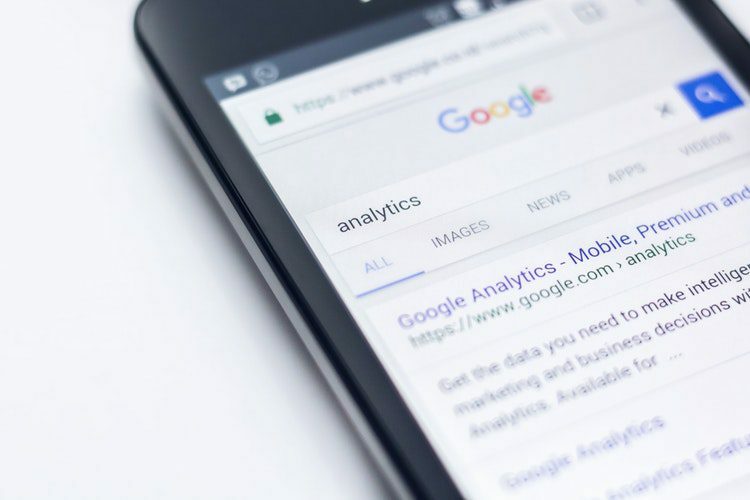 Bounce rate is subjective – for example, if your landing page contains all the information a customer could need to inform their decision, plus a number to contact you on, then there may be no need for them to continue browsing on your site or to submit any information on a form. Similarly, if you’ve created a good blog, a user may land on the information, digest it all and then leave – this isn’t necessarily a bad thing. You need to understand the purpose of the page in question, and what action you hope a user will have on the page, before you can analyse whether the bounce rate is particularly good or bad. Some marketing activity will also affect your bounce rate. Display marketing typically has a much higher bounce rate, with some remarketing campaigns running as high as 80% and above as standard. How Do I Optimise For Bounce Rate? Improve page speed. Page speed is a huge factor in bounce rate –with many sites losing as many as 50% of visitors due to slow loading times. This can hugely skew your bounce rate, and can often be fixed with a simple tweaks. Use heatmapping software. Heatmapping will allow you to see how users interact with your website, which makes it easy to spot whereabouts they may be dropping off or any problems in user experience. You can also see which areas of the pages users spend the most time on, which allows you to optimise content and visuals. Improve content on your page. Make your content more relevant, and persuasive. If your landing page is sparse, fill it with increased useful content. Make a clear call to action. Outline to the user what their next steps should be. If you want them to fill in a form, put the submission form button in clear view. End your text with a clear call to action, such as ‘book today’ or ‘contact us here’. Review advert copy. Is there a disconnection between what users expect to see when they click on your advert, and what they find when they land on your site? Make sure that your advert copy is giving a true reflection of your offering. Use internal linking. Providing links to other pages on your site increases the time spent on your website. Make sure you put suggestions to further content in your landing page, and link them through. To find out more about bounce rate and other SEO factors that optimise your website, get in touch today.